“I hope this goes well,” Earl Beaufort murmured to no one in particular as he glanced out a rain-streaked coach window. Kate, sitting across from her father, perceived the concern in his voice and closed her book. She raised an eyebrow and stared at her father’s face, inviting conversation. What is it? “Did you enjoy our visit with the Heathcotes?” he asked softly, obviously in a desire not to wake Jane and the maids, who were dozing. Grimsthorpe Castle and Haverholme Priory. They continued in silence, Kate peering out at the grey day, unable to enjoy The Maniac Father: or, The Victim of Seduction, A Romance of Deep Interest by Thomas Prest any longer, apprehension spreading with each passing mile. When their coach turned off the road onto the driveway leading to Haverholme Priory, Kate thought she might start weeping. Jane woke and talked merrily about their plans to visit Matlock Bath for a few days. The maids asked questions about which outfits should be ironed for the evening. All too soon, they pulled up at the front doors of Haverholme Priory. Rudman, Earl Beaufort’s valet, who had ridden outside with the driver, opened the door of the coach and unfolded the stairs. Earl Beaufort stepped out, then offered a hand to each lady and maid as they climbed down onto the gravel. A butler emerged from the mansion with a pair of footmen. While the servants tended to the luggage, Kate and her parents proceeded out of the rain and into the front hall. Lord Winchilsea bear hugged Jane and Kate in turn. Kate thought he appeared older and greyer than she could have ever imagined. Images from the 1800s, depicting a young lady fainting, weeping, and bedridden. “A tragedy,” Jane said gently. “She’s a bit better today!” Lord Winchilsea managed a smile. “Your timing is fortuitous. She’s awake now, and quite animated. Come and see her before the tincture takes hold again! We have her infirmary in the day room so she can look out all the windows.” He stomped from the hall into a corridor. Servants stood close by, allowing the Beauforts to rapidly shed their hats and travel cloaks, then hurry after Lord Winchilsea. The man had vanished. A woman wearing light grey with a white apron waved to them and indicated a door. Kate entered the room but didn’t move towards the bed, staying well behind her parents. She took in the windows, wet green lawns beyond, the curtains, a desk, a toilet table, chairs, vases of flowers, then locked her eyes on Emily and froze. The lady sat in bed, propped up by pillows. She was ashen and thin, but beautiful, possessing a quiet dignity, her hair up and covered by a lace cap, wearing a white felt bed jacket edged with pale blue silk ribbon. Scattered upon the bed lay papers and books. People were talking, yet Kate couldn’t hear distinct words, simply a murmuring in different tones. She watched as Emily’s large expressive and weary eyes shifted around the room to the different speakers, then they settled on Kate. “Would you like to sit with me for awhile?” Emily asked with a small smile. What do I say? What should I do? “Would you like to sit with Lady Winchilsea for awhile?” Jane asked while placing a hand on Kate’s back. “Yes, of course,” Kate replied, gliding forward, prompted by Jane’s gentle push. Kate stood uncomfortably beside the bed, feeling guilty about being so effortlessly hale and hearty, while her parents left the room with Lord Winchilsea. The sweet perfume of flowers filled her nose, but a sour scent lay beneath. “Sit,” Emily invited, stretching to shift some of the papers out of the way. “Let me.” Kate collected together what she discerned to be correspondence and placed them on a night stand. She then perched on the edge of the bed and, gathering her strength, gave her full attention to Emily, gazing squarely into her eyes. “How do you feel about Hugh?” Emily asked. Kate didn’t reply. During their conversation she had studied the poor woman, dismayed to see her in such a weakened state. “You’re not old,” Kate insisted, distress clutching her heart and stomach. Emily offered her arms and Kate fell into her embrace, shoulders shaking, weeping into the soft wool of her bed jacket. 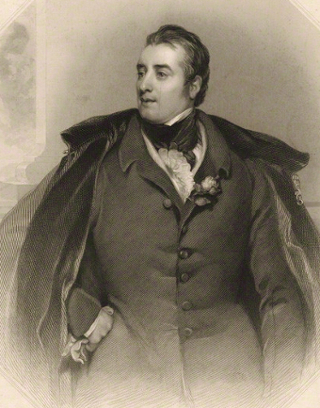 George William Finch-Hatton, 10th Earl of Winchilsea. Without waiting for an answer Emily lifted an ink splattered paper from the far side of the bed and handed it to Kate. Four lines with several corrections were scribbled on the paper. Kate read it aloud. “When the bell for the dying, has rung for me, and my body is cold and lying, beneath a tree. Once the turf grave diggers are heaping, covers my breast, come not to gaze on me weeping, for I am at rest. Long since my heart has been breaking, the hurt is past, a time has been set to its aching, peace comes at last. By the end Kate found the words difficult to read as she blinked back tears. “All your life cold and bad? But you loved wildly and madly? How does that feel? I’ve read of love in novels, but you put it better with few words. Why deem it bad? To love so!” She dabbed the tears from her cheeks. “Oh…” I’ve never considered sorrow as sweet. Kate tiptoed silently from the room. The nurse, sitting on a fly chair in the hall, rose and entered upon Kate’s exit, no words needed. Kate didn’t go to the drawing room, instead wandering through corridors and halls, disheartened and lost in thought. How can death be a sweet sorrow? I don’t understand such a notion. If I caught a contagion, or wasting sickness, I would have to be brave. Even if I was frightened, or angry, I’d act cheerful, so no one need grieve too deeply. Perhaps if I suffered for years I might be content to die. But who could be content to die if they are wildly and madly in love? Will I ever feel that way about someone? My goodness… Hugh Wansbrough and Hugh Grosvenor! Do they feel that way about me?! Note: George William Finch-Hatton, 10th Earl of Winchilsea, commissioned an effigy of Emily. It was carved by Lawrence MacDonald (1799 – 1878) in Rome of white Carrara marble. The monument portrays Emily in a classical form, reclining on a day-bed, wearing a loose robe and sandals, and reading a scroll, inscribed: I AM HAPPY INDEED, HAPPY IN THE WORD, GOD IS WAITING FOR ME. She was interred in the chancel of the Church of St. Andrew, Ewerby, Lincolnshire. Her effigy was installed in St. Mary’s Church, Eastwell, Kent, with other monuments to the Finch-Hatton family. In the 1950s the church had fallen into disrepair and the roof collapsed but the statues within were removed and placed in the care of the Victoria & Albert Museum. What a treat to have discovered this entertainment. I will be back on a rainy day. Loved reading this. Kate’s learning about dying and love of someone is a real lesson.